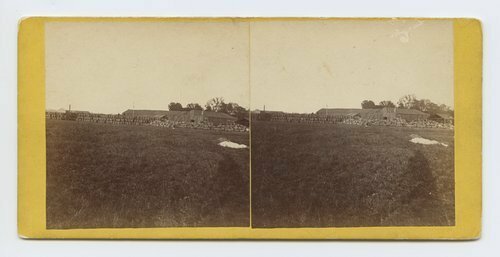 This stereograph shows an exterior view of a packing house in Junction City, Kan. Visible in the photograph are stacks of wooden barrels. It is from Alexander Gardner's series, Across the Continent on the Union Pacific Railway, Eastern Division. Packing house, Junction City, Kansas. 423 miles west of St. Louis Mo.